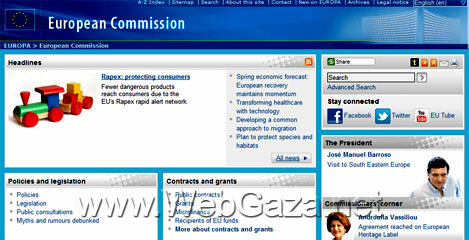 European Commission - What is the European Commission? The European Commission is the EU's executive body. It proposes and enforces legislation and represents and upholds the interests of Europe as a whole. Find out how it is structured and how to work for the Commission. This page also provides access to documents, statistics and opinion polls. The Commission drafts proposals for new European laws and manages the day-to-day business of implementing EU policies and allocating EU funds. It also makes sure that everyone abides by the European treaties and laws. Within the College of Commissioners there is one Commissioner per member state, each representing the interests of the EU as a whole.